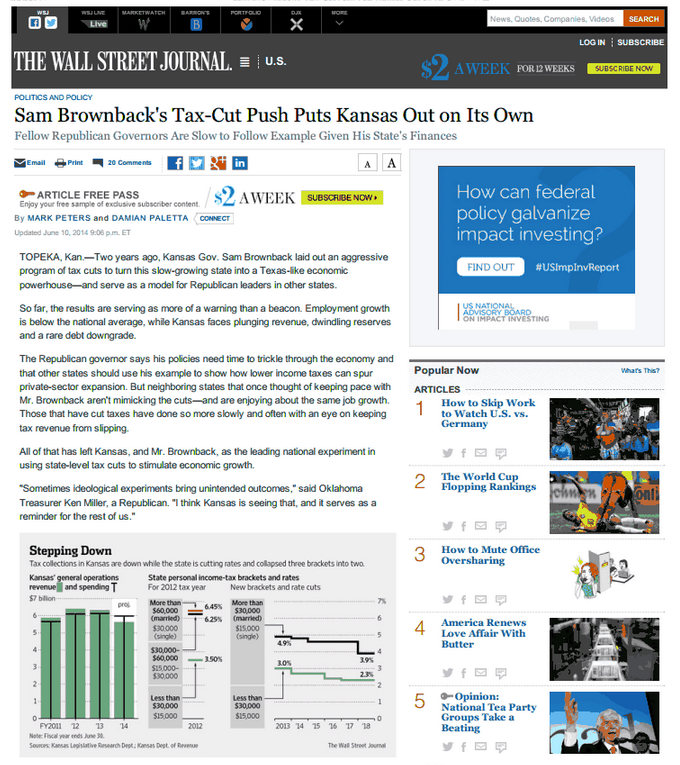 The national coverage of Kansas' budget crisis continues. 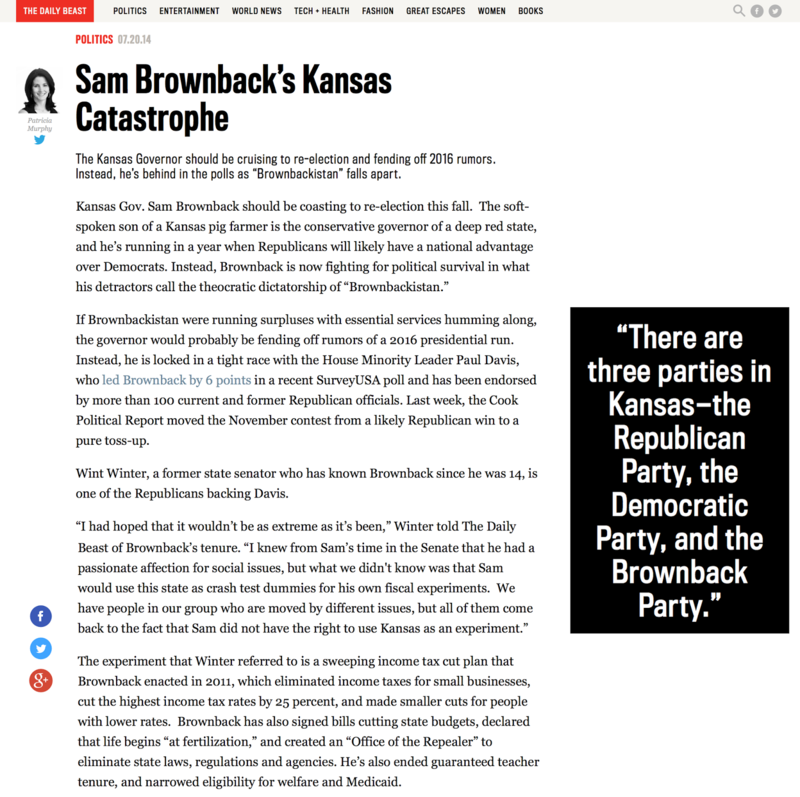 This one is from the Daily Beast: "Sam Brownback's Kansas Catastrophe." A huge drop in state revenue collections has occurred. 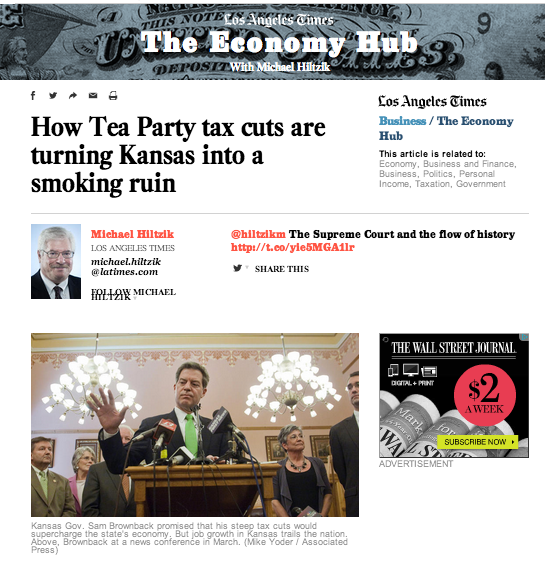 The dramatic changes to Kansas tax policy hit full force in fiscal year 2014, bringing total State General Fund receipts down $688 million from FY 2013 levels. For months we have been learning how far revenue has fallen, but now we need to reset our revenue barometer for a new fiscal year. 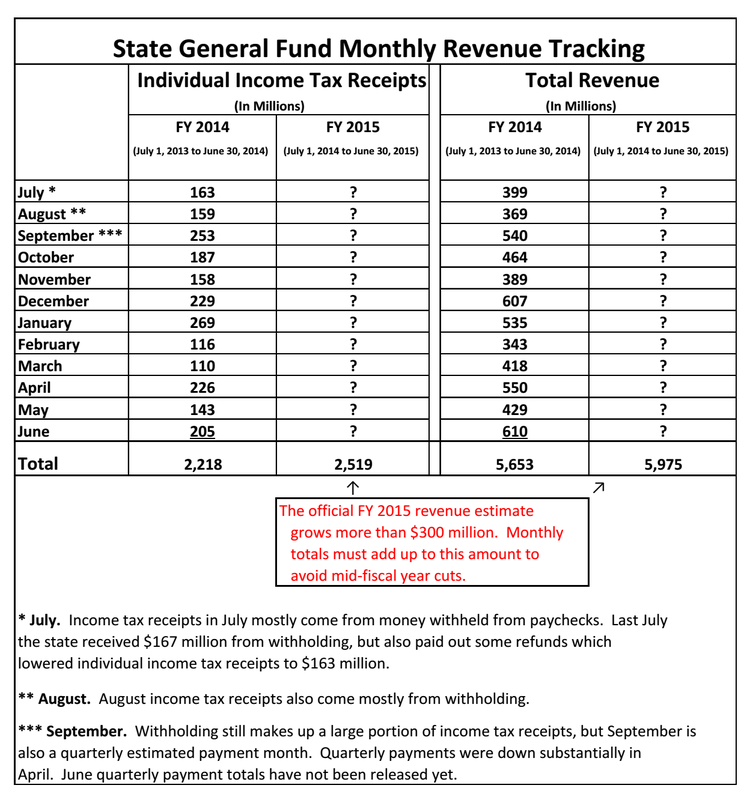 The first monthly revenue report of FY 2015 arrives July 31. How do we judge how the state is doing financially? The key: watch to see whether individual income tax receipts are higher than they were in FY 2014. 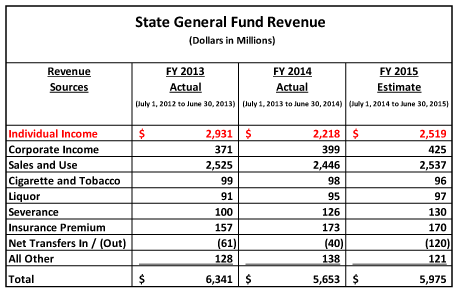 The FY 2015 budget is based on an estimate that revenue will rise more than $300 million, mostly from income tax gains. If revenue grows $300 million, the state will just barely be able to cover approved FY 2015 spending and finish the fiscal year with a bank balance just above zero. That’s a very poor financial position to be in, but at least mid-year budget cuts can be avoided. 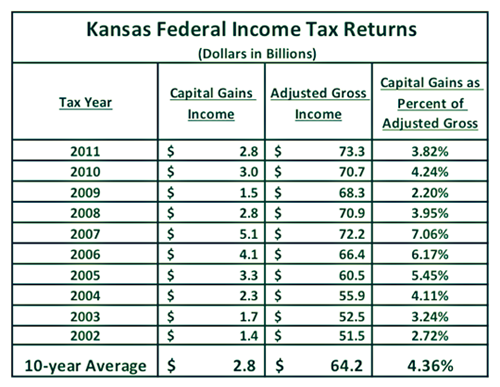 Don’t count on the Kansas Department of Revenue to interpret what is happening. The Department’s track record for accurately explaining revenue reports during FY 2014 has been unreliable, reaching a low point when April revenue declines were blamed on President Obama. Use the chart below to assess revenue each month. Pay the most attention to income tax receipts, but don’t concentrate too much on any one month. Things like paycheck withholding can vary a bit. Look for the trend. Remember, the big drop in revenue occurred in FY 2014. If revenue now stays down at that level and does not grow substantially, immediate surgery needs to be done on this year’s budget.